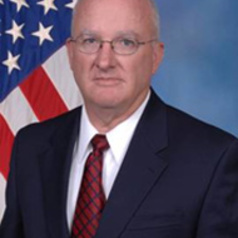 Director since September 2010, Dr. Davis has been with the Certificate in Homeland Security program for four years. Courses taught range from homeland security to terrorism. He has two degrees from Texas A&M University, a bachelor's in history and a PhD in education. At Troy State University, Davis earned a master's degree in international relations. During a twenty-year Army career, Lieutenant Colonel (Ret) Davis served in a variety of command and staff positions in airborne, ranger, and special forces units. While an instructor at the U.S. Army Infantry School, 1987-89, he was principal author for the revision of Field Manual 7-10, The Rifle Company Manual. During a tour at the Pentagon, he served on the Army Staff in support of special operations. His awards include the Bronze Star Medal and Combat Infantryman's Badge. From 1997-2000, Davis served as a training consultant in the U.S. State Department's Train and Equip Program in Bosnia-Herzegovina. From 2000-2006, Davis worked in public education as a JROTC instructor in San Antonio, Texas. Dr. Davis is the author of The Phinehas Priesthood: Violent Vanguard of the Christian Identity Movement published by Praeger Publishers in 2010.